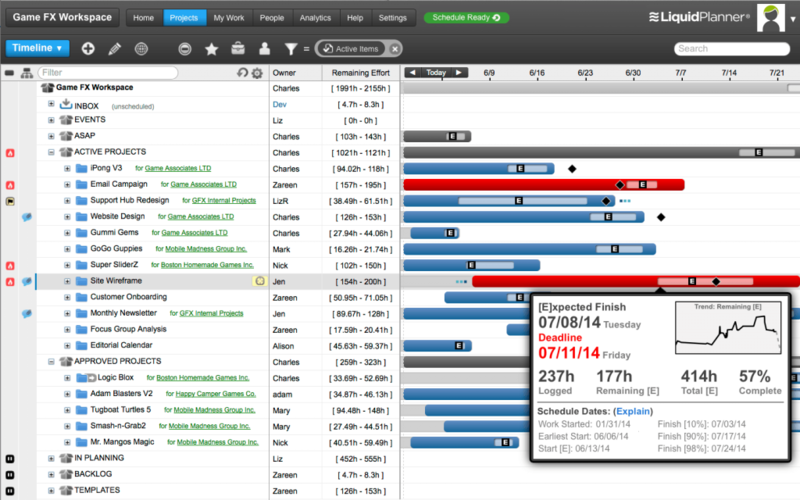 The only solution to managing projects smoothly is to get project management software. They are online systems for working and collaborating on projects. 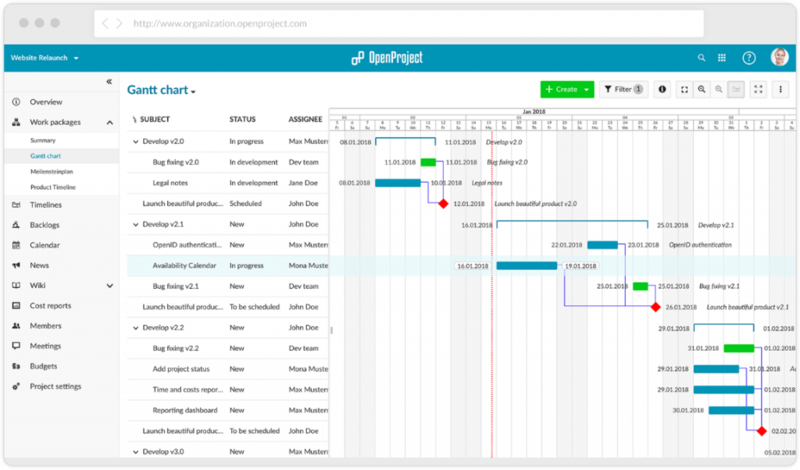 The best project management apps help teams to handle common problems like slipped deadlines, automatically rescheduling tasks and generating relevant reports. 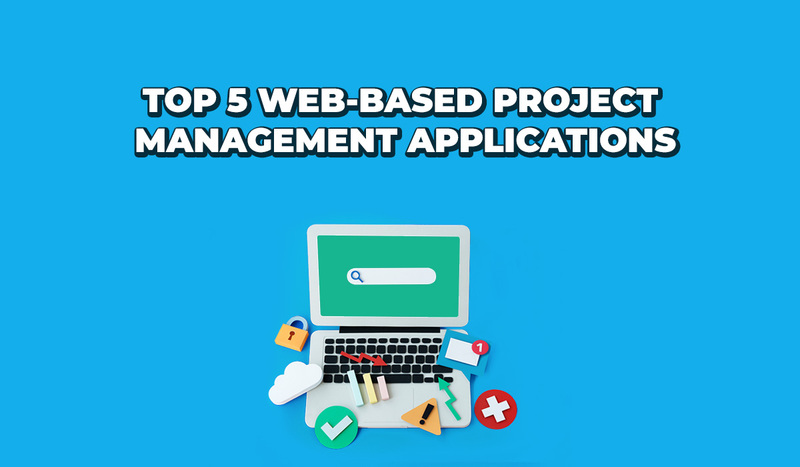 That’s why, today, we will be exploring the top 5 web-based project management software. OpenProject is a web-based project management system for location-independent team collaboration. It was written in Ruby on Rails and AngularJS and released under the GNU General Public License Version 3. From project initiation to closure, the entire project lifecycle is supported by it. Some of the features include project planning and scheduling, roadmap and release planning, management and team collaboration, Agile & Scrum, cost reporting and budgeting and bug tracking. There are three editions available in terms of features namely Community, Enterprise and Cloud. The community edition is free for all while the other editions are charged based on the number of team members. In August 2011, OpenProject won the first prize in the category “Best Practice” of the open source competition of the Berlin Technology Foundation “Berlin’s future is open”. 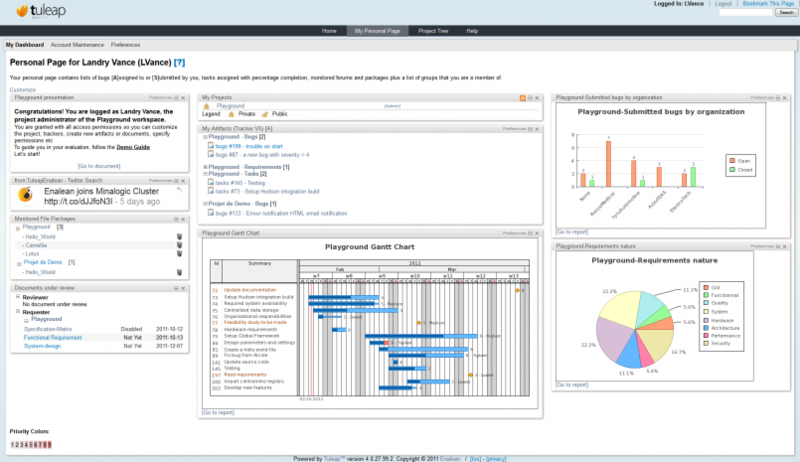 LibrePlan is a collaborative tool to plan, monitor and control projects. It is an open source application licensed under AGPL where all the team members can take part in the planning (i.e. real-time planning). Since LibrePlan contains ‘naval’ reference in its name, it is important to focus on the fact that it is a general web application used by any organization/person who wants to plan several projects and resources. 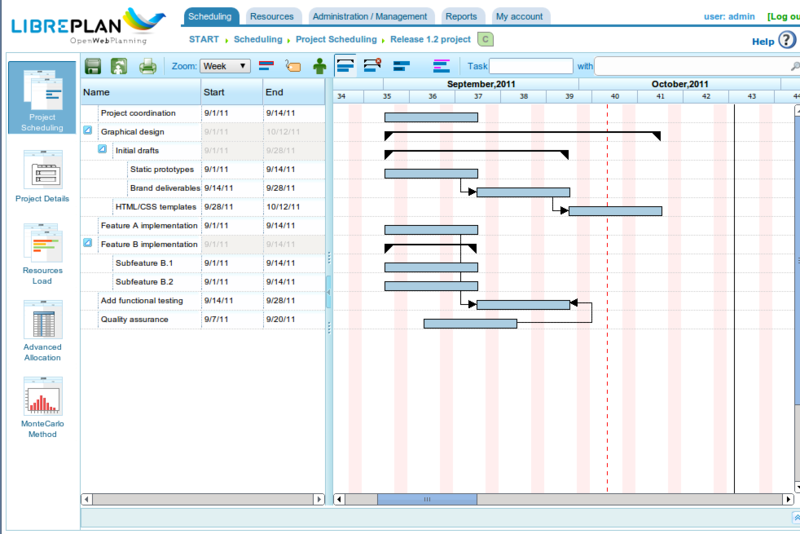 LiquidPlanner is an online project management software company founded in 2006. It is a platform-independent system that features ranged estimates of uncertainty in project schedules. This is accessible from iPhone, iPad and Android OS-based devices. It was built using Ruby on Rails. First software as a service (SaaS) based project management solution of its kind. Features include smart scheduling, resource management, cross-project visibility, contextual collaboration, integrated time & budget tracking, advanced analytics, calendar sync, API & Integrations and security etc. LiquidPlanner was the first recipient of capital from the Seattle-based Alliance of Angels seed fund in June 2009. 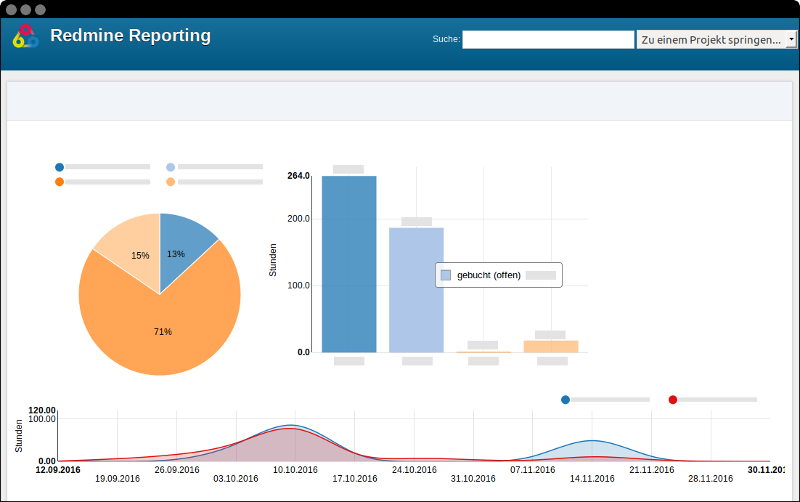 Redmine is a free and open source, flexible web-based project management and issue tracking tool. It was written using the Ruby on Rails framework. Some of the main features of it are multiple projects support, flexible role-based access control, flexible issue tracking system, Gantt chart, and calendar, news, documents and files management, time tracking, Multilanguage support etc. The UI of it is influenced by Trac. It is built and maintained by community volunteers. Tuleap is a libre and open-source project management system that enables managers and developers to utilize diverse development methodologies. It is an enterprise alternative solution to tools like CollabNet, Jira, and Confluence, Crucible. It is used by Fortune 500 companies and open source projects. It integrates forge system functionalities that enable teams to manage software sources, share technical or project documentation, track bugs, consolidate customers/developers or third-party communications. Scrum workspaces can also be created. It’s transparent now that the obstacles in the roadmap of your success are wiped out with end to end knowledge….. Excellent ??? ?….keep it up…carry on ..sky is your limit ? Suprabhat it was pleasure for me to read your first article. It’s excellent and I am sure it will be helpful for other students and professional as well. Now back to you, all I want to say Never Give Up the journey which you have started early. There will be obstacles in various forms and shapes but you have to come forward and stick to your passion. May God bless you and help you at every step. Please review slentera.com for task management and ticketing system. It is completely different from other tools, designed to suit for every work. As simple as messaging application and inbuilt contextual communication. Great list. Have you ever heard of ProofHub ? ProofHub is Web Based project management and collaboration tool. With ProofHub, your teams, clients and all the project communication stays in one place. There’s no need of investing in too many different tools to run your business. Our project management software makes it easy to create plans, collaborate with teams and clients, keep things organized and deliver projects on time.